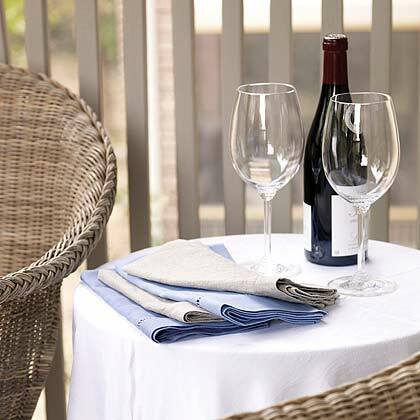 There's no better way to relax and enjoy a warm, sunny day than by sitting on a patio or going on a picnic with light summer fare and a cool, refreshing glass of wine. While you shouldn't neglect your favorites, of course–if it's a bold, tannic Cabernet Sauvignon, by all means, go for it–certain wines, which are generally lighter, less alcoholic, fruit-forward, and go well with myriad seasonal foods, make perfect summertime sippers. Below are a handful of our current favorites–three whites, a rosé, and a red–with ideal food pairings to boot. New Zealand Sauvignon Blanc is a racy, aromatic, white wine that is chockfull of grassy, herbaceous notes and citrus flavors on the palate. 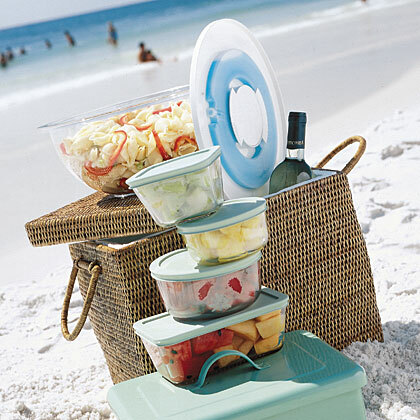 A perfect picnic wine, the tangy acidity of Sauvignon Blanc makes it the ideal accompaniment to cold salads such as tarragon chicken, shrimp, or crab. For the latter two, think of a glass of New Zealand Sauvignon Blanc as a fresh squeeze of lemon, enhancing the seafood and balancing the creamy dressing. Albariño wines from the Rias Baixas region of northwestern Spain are fresh, crisp, and exploding with fruity aromas of citrus, green apple, and peach. 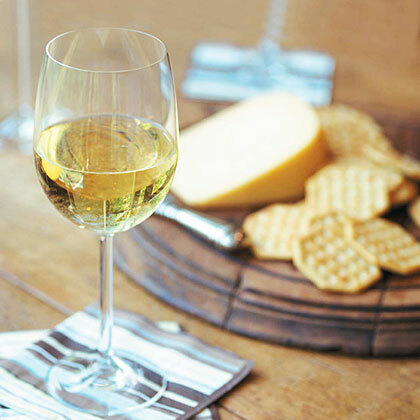 Aromatic with a moderate alcohol level, mineral notes, and bright acidity, Albariño is ideal sipped alone as an aperitif or with oysters on the half shell, as they so often do in Rias Baixas. Versatile and food-friendly, Albariños also pair nicely with chips and salsa, fresh fish and seafood, spicy foods, and creamy cheeses. Torrontés is Argentina's signature white grape variety. It's lively and intensely aromatic with floral notes and the flavors of orange blossom, green apple, and tropical fruit. Torrontés wines can be just a tad bit sweeter than the other summer-perfect selections, which are completely dry. What makes these great summer wines? They're delightful on their own and are also a perfect match for foods such as curry chicken salad with raisins or a salami and cheese plate. Perhaps no other wines say summertime quite like rosés–and if you haven't tried them yet, now is the time. Rosés are dry, crisp, fresh, and burst with ripe red fruit flavors of strawberries and raspberries. They can also be herbal, floral, and earthy. Made from red grapes, rosés are pink in color and lighter in tannins because the skins of the dark grapes are removed before the fermentation process. Perfect on a hot day, these refreshing, chilled wines go great with all types of salads, cold cuts, and even grilled turkey burgers. While they're made just about everywhere, try a rosé from the Old World regions of France, Spain, Italy and Portugal. For die-hard red wine lovers no matter the menu, there is a perfect wine for your summertime quaffing: Beaujolais. Made exclusively from the Gamay grape, Beaujolais wines are soft, fruity, and flavorful. There are various levels of Beaujolais, and while some are complex and age-worthy–the Crus–try the more youthful ones labeled "Beaujolais" or "Beaujolais Villages," which are best enjoyed slightly chilled. An extremely food-friendly wine, Beaujolais goes well with everything from grilled hamburgers to light summer salads to simple turkey and cheese sandwiches.